Authentic Indian Masala Dabba Stainless Steel Spice Box with 7 compartments. The lid is transparent which makes it easy to see when you run out of spices. 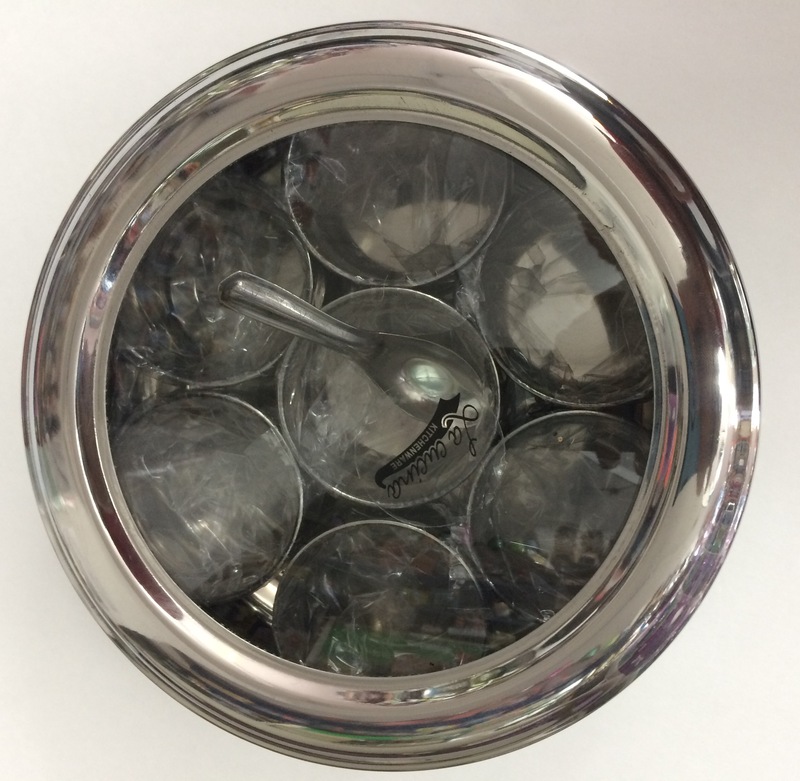 This item in Utensils from India category was first added to our catalog on 08-02-2016. 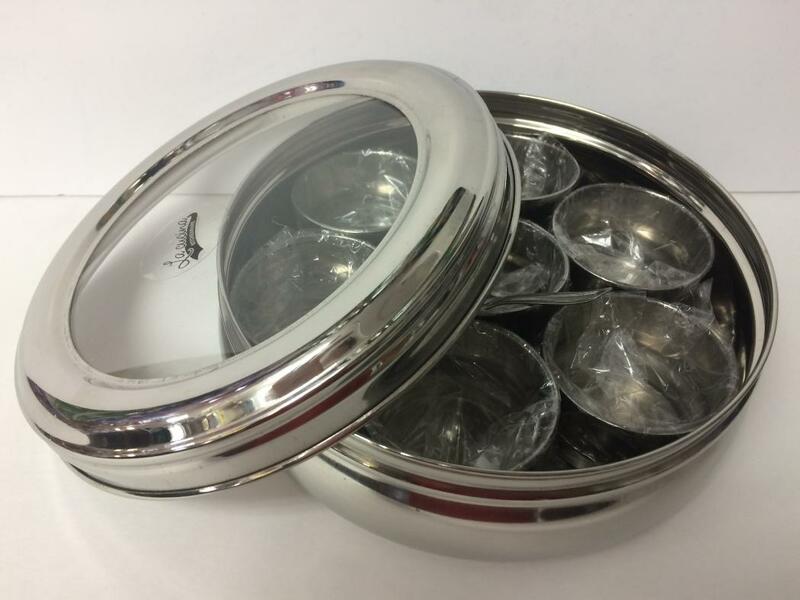 Buy See Thru Indian Spice Box, Stainless Steel Masala Dabba, sold & shipped by Dollar Bazaar where you can shop online for Indian Handicrafts, Home Decor & Traditional Gifts. 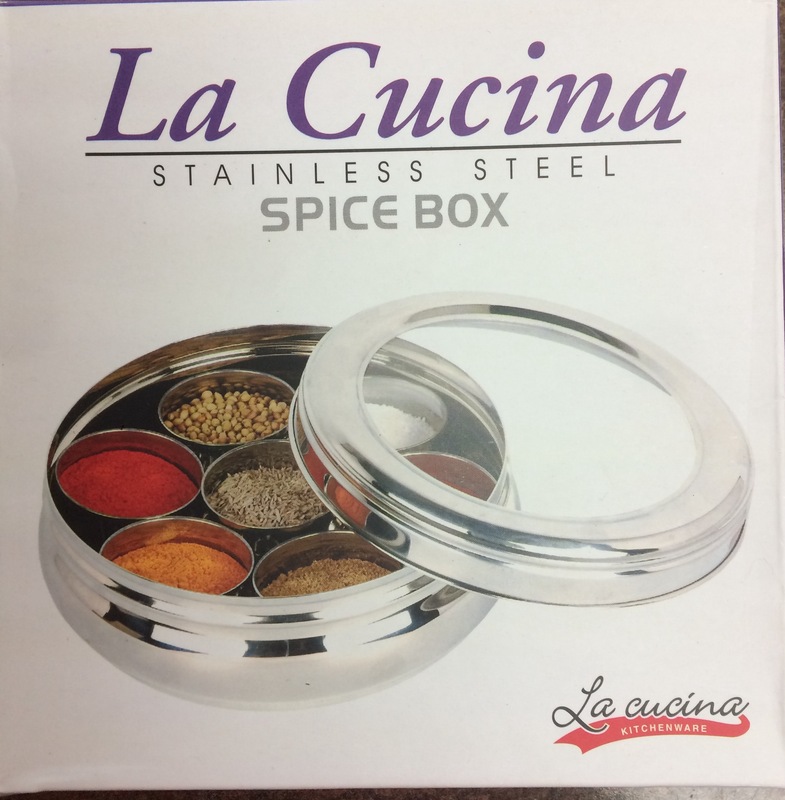 This Utensils collection has been tagged as house warming gift, spice container, empty dabba, spice storage box.